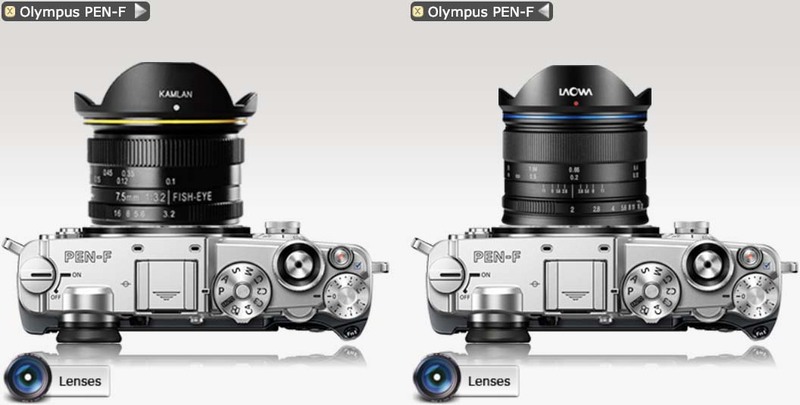 Camerasize just added the Kamlan FS 7.5mm f/3.2 Fisheye to their comparison tool. I compared the Kamlan FS 7.5mm f/3.2 Fisheye to the Laowa 7.5mm f/2 Rectal Linear lens with it above. You can make your own comparison here. This entry was posted in 3rd Party Lens and tagged Fisheye, Kamlan, Kamlan 7.5mm f/3.2, Kamlan FS 7.5mm f/3.2, Laowa 7.5mm f/2, Laowa 7.5mm f/2 MFT, Venus Optics Laowa 7.5mm f/2. Bookmark the permalink. Trackbacks are closed, but you can post a comment.